At the Sacred Music Colloquium this year, Orlando Gibbons’ polyphonic masterpiece “Almighty and Everlasting God” will be sung.
. . . But what if you don’t read music very well? What if you have limited time to practice because you have a family to care for? What if you want to practice singing your part with a “virtual” choir? If the answer to any of these questions is “YES,” then you ought to explore ChoralTracks.com. Below, you will see a video of the Gibbons that should give you a SMALL indication of the hundreds of choral treasures waiting for you at ChoralTracks.com. Furthermore, you should check out this amazing new Catholic polyphonic CD. As is always the case with ChoralTracks.com, Matthew J. Curtis sings all of the parts by himself, so absolute 100% quality of tone, correct pronunciation, musical lines, and vocal clarity are assured. Visit ChoralTracks.com to find part predominant, part muted, and part left practice tracks for each voice part of each piece. 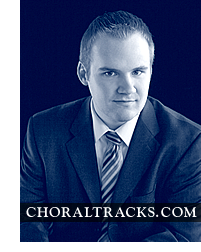 Subscribe to ChoralTracks on YouTube and “Like” ChoralTracks on Facebook.